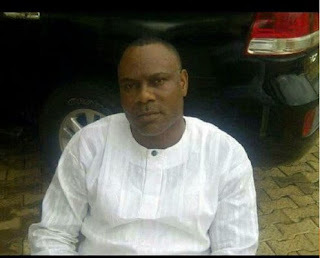 Comrade Bunmi Ojo, a chieftain of All Progressives Congress (APC) in Ekiti state has been killed. The former Special Assistant to former Governor Segun Oni was shot on Friday night by unidentified gunmen. He is reported to have been shot around a football viewing centre in Ado Ekiti, the state capital. Comrade Bunmi OJO, an APC member and close aide of former Governor Segun ONI, has just been shot dead some minutes ago by an unidentified assailant at a viewing centre, along Adebayo road, Ado Ekiti. Oyetunji Ojo™ ‏ @TunjiOFR said: Sad…. Commissoner, Federal Character Commissioner Bunmi Ojo gunned down at a Football Viewing Centre in Ado-Ekiti? Not again in Ekitiland… Enough of bloodshed. Oh God, our creator unleash your hand of revenge on the evil doers.